The innovation of the SRS is highlighted in its ability to handle problematic fractured rock — in fractured rock conditions, the casing is more likely to walk or move within the half-rock formations, making it more challenging to maintain a consistent boring path. A variety of new features enable the SRS to successfully handle complex ground conditions. A half-open faced design allows fractured rock to be pulled into the cutting head where it is either crushed or swallowed, creating a consistent boring path in the process. A system of both disc cutters and rock picks work to navigate varying rock conditions. The disc cutters are designed to break up solid rock as they rotate. The rock picks are used to pull any remaining fractured rock the disc cutters could not disperse in order to produce a clear bore path. The SRS is the first system to utilize a full-rotational turntable similar to those used in track excavators. The full-rotational turntable eliminates the need for a single main bearing that can seize up and freeze the head. The SRS also incorporates an automatic grease system that constantly lubricates the turntable for maximum uptime and productivity. The SRS maintains three proven features from the McLaughlin ON Target boring system: four steering flaps that are hydraulically actuated allow the head to stay on-grade; a built-in water level that helps monitor grade throughout the bore; and two halogen lights in the control station that indicate lateral (left and right) steering head movements. A self-contained control station regulates the movement of the steering head and all hydraulic, water and electrical lines. 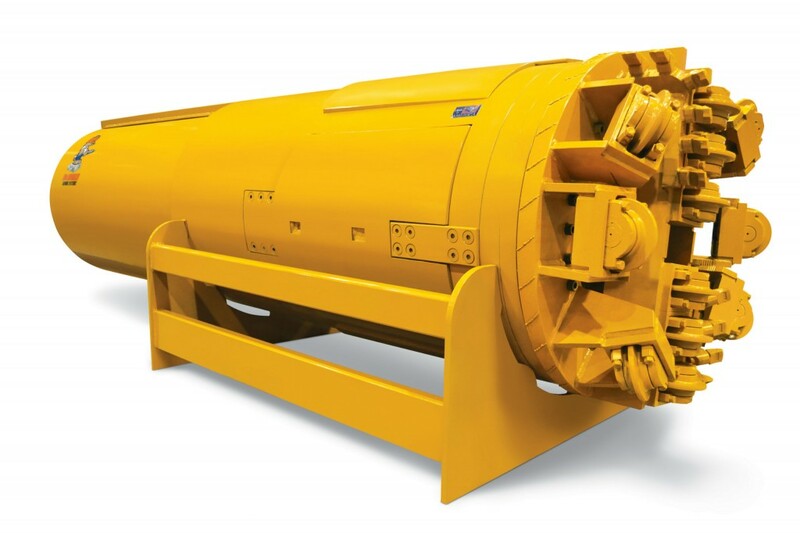 The SRS system and its control station are compatible with any make or model of auger boring machine that has the necessary torque requirements and is available in sizes 36 to 60 inches (91.4 – 152.4 cm).